We'd be hard pressed to find someone who would pass up a freshly picked, succulent southern peach and it's the same way for this shisha tobacco flavor. Combining the sweet flavors of natural peaches with the cooling effects of mint leaves, Arctic Peach is a crowd pleasing shisha tobacco flavor. 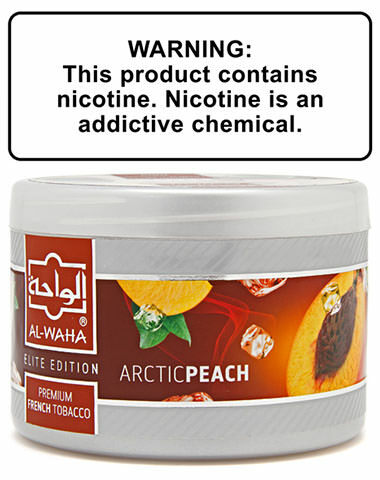 Arctic Peach Al Waha Shisha Tobacco has a average rating of 0 stars out of 5 stars based on 0 reviews.